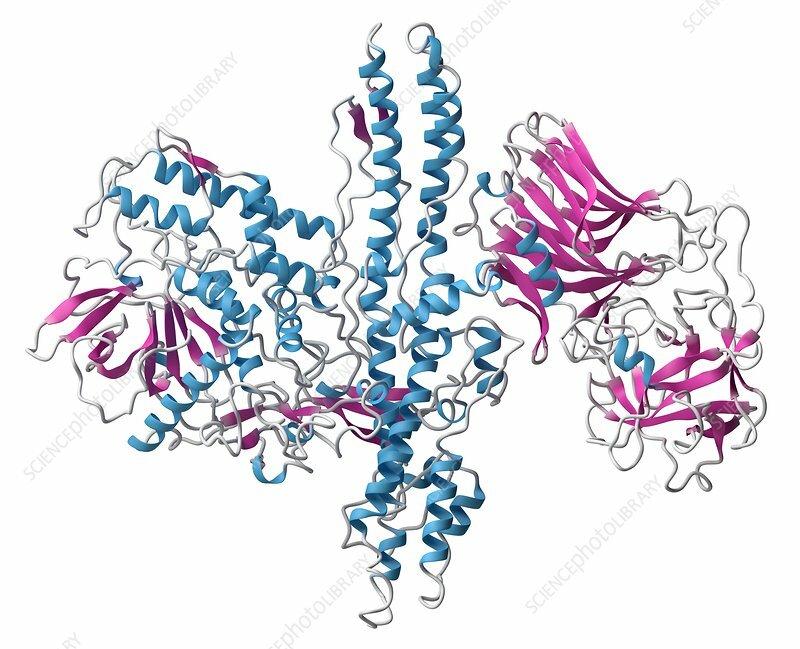 Botulinum toxin neurotoxic protein. Produced by Clostridium botulinum. Cosmetically used to treat wrinkles. Cartoon model, secondary structure colouring (helices blue, sheets pink).